Neon Chrome is a top-down shooter game available for download from the PlayStation Store for the PS4. 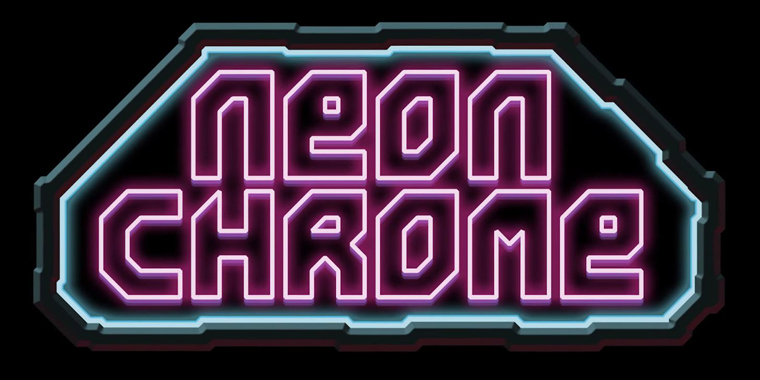 Neon Chrome is developed by 10Tons; the same developer who created the amazing Crimsonland, therefore the question leading into Neon Chrome is if it maintains the quality of Crimsonland or if it actually improves upon it? The story revolves around a rebellion against Neon Corp who house anywhere from hundreds of thousands through to a million people in giant megastructures known as arcologies. If anyone is deemed untrustworthy then they will be detained against their own will and with the lead character being found in this position within one of the largest arcologies on Earth (Neon Chrome), the only way to overcome the predicament is to take down the Overseer and the countless enemies that guard him. The character design is rather varied. Characters are referred to as assets as your character is sitting in an immersion chair in full control over an asset. Different assets effectively have their own loadouts including a specific weapon to begin with, unique abilities, and enhancements. For example, Collene Deckard is classed as an Assassin with a 20% increase in critical shots to enemies and a 10% increase in speed. She also has a Nanofiber Shadow Skin which makes the assassin practically invisible when in shadow as well as being equipped with a burst rifle and a laser pulse. The enemy design includes guards, mechanised spiders, flying drones, turrets and more besides with guards showing up in the middle of some levels to provide enemy reinforcements. Boss fights include a larger spider bot, a centipede, a hover tank and more. The environment is procedurally generated, resulting in no two levels being exactly the same. The overall world has a Blade Runner-esque stylised futuristic neon look to it which you can catch a glimpse of when nearby to an outer wall as rain falls amidst seemingly endless skyscrapers. Certain surfaces of the interior such as thinner walls, glass and debris can be destroyed with multiple attempts, although keys are required to open some doors. In-game currency can be earned by destroying enemies and looting particular objects which is incredibly important to increasing your chances of surviving until the end of each level. The entire purpose of the in-game currency is for it to be utilised in order to purchase upgrades, weapons, abilities and enhancements, therefore providing a better offence when attacking enemies and defence when being attacked by enemies. Upgrades are available for five separate categories including health, damage, luck, energy and slots with 100 levels worth of progression on all of the upgrade categories (other than the slots category, which has 10 levels of progress). Health upgrades increase the maximum amount of health, while damage increases the amount of damage you are capable of inflicting on enemies. Luck improves the possibility of critical hits on enemies, increases the amount of credits looted and makes rarer loot easier to find. Energy provides the required fuel to utilise abilities, and slots increases the amount of cybernetic enhancement slots available in order to install more enhancements. The improvements in statistics made by each upgrade are mostly the same within each respective upgrade category, although the cost of each upgrade varies for each upgrade level. For example, the first health upgrade improves health statistics by 8 from 160 to 168 and costs 200 credits while the second upgrade, having the same amount of improvement, costs 280 credits. There are 26 weapons that have their own attributes such as a rate of fire, range, damage and accuracy. Some weapons have to be unlocked by purchasing them with in-game credits including a submachine gun, an assault rifle, a burst rifle, a shotgun, an ion shotgun, a laser submachine gun, a laser assault rifle, a laser burst rifle, a grenade launcher and much more besides starting from 300 credits per weapon. There are 16 abilities that can be equipped such as micro missiles that are capable of locking onto enemies and a laser pulse which shoots hi-intensity laser beams in all directions. There are 50 enhancements that can be equipped to the specific amount of slots that have been unlocked from the slots upgrade category with enhancements including NanoEdge SkinWeave, which provides Nanites that produce a reinforced mesh into the skin of your character resulting in a 20% increase in health, and an Omnitech Personal Guard, which automatically zaps three nearby enemies with bolts of electricity. Until the announced Vita version releases; Vita gamers can play Neon Chrome via remote play. The performance during remote play is excellent with the graphics, audio and general performance possessing the same level of quality as the PS4 version, while the control scheme has been appropriately optimised. R2 and R3 or L1 have been re-mapped to R and L for shooting and performing melee attacks, respectively. L2 has been moved to the top right of the touch screen to perform a special attack. The rest of the controls remain exactly the same as the PS4 version, resulting in a remote play experience that will keep players satisfied until a Vita version is hopefully released. The controls are well mapped to the DualShock 4 controller with the control scheme consisting of pressing R2 to shoot; pressing L2 to perform a special attack; pressing O to reload; pressing X to use an item or object; pressing R3 or alternatively L1 to perform a melee attack; changing the direction of the left analogue stick to move your character; changing the direction of the right analogue stick to aim your weapon; pressing the share button takes you to the share feature menu; and pressing the options button to display the pause menu. There is no touch pad implementation which is a surprise as Crimsonland previously featured the touch pad as an accurate alternative to using R2 or L2 to fire and the right analogue stick for aiming. There is also no light bar implementation, which could have been used to display a bright purple to resonate with the neon colour palette or alternatively as a health indicator starting off with a bright green colour when you have full health, gradually fading from bright green to yellow, orange and red, descending into a darker red, then flashing red when your character is marginal on health. The DualShock 4 controller also appears to not vibrate even though there are certainly enough weapons, abilities and enhancements which your character possesses and more than enough enemies simultaneously firing at your character to make some sort of vibration. Graphically, Neon Chrome looks as good as you would anticipate a top-down shooter to be with fluid animations from your character, enemies and enemy bosses. The imaginative weaponry and abilities produce spectacular effects which are on par with the amazing procedurally generated destructible environments. The presentation of the game is solid with a great user interface across various menus. The background of the menu screens consists of a character with a weapon as another character sits in what appears to be the immersion chair as a huge city can be seen as far as the horizon with gigantic towering structures. The title logo of the game is positioned centrally at the top of the screen as a neon sign. Leaving the game inactive for a few moments will provide a variety of gameplay demos showcasing different environments, weapons and enemies. Audio consists of voice-overs for the lead villain and guards insisting your character stops what they are doing, while sound effects include collecting energy and credits, shooting at enemies, reloading, melee attacking, enemies firing at your character, explosions and more besides which is perfectly complimented by award-winning composer Jonathan Geer who delivers a thrilling, futuristic sci-fi soundtrack reminiscent of a fusion between Blade Runner and the grander scale of Total Recall. There is surprisingly no DualShock 4 speaker implementation, although the feature could have been utilised to produce voice-overs, sound effects or the soundtrack. The trophy list includes 14 trophies with 9 bronze trophies and 9 silver trophies. The easiest trophy has to be the Hard Work bronze trophy for killing 1,000 enemies due to the progressive accumulation from every level, while harder trophies include the Sneaky silver trophy for completing a level without being seen; the Stat Master silver trophy for upgrading a stat to level 100; and the Unlocker silver trophy for unlocking all unlockables. It is estimated that depending upon skill and a good trophy guide to provide some helpful tips that it would take between 15 to 25 hours to 100% the trophy list. There are no difficulty levels, although the gameplay is deliberately punishing resulting in players having to seriously upgrade their character’s stats and improve their weaponry, abilities and enhancements before standing a chance of survival against the many enemies situated within each level with gameplay still remaining at a hard difficulty as randomly generated levels will surprise players by making it impossible to memorise a specific path to the end of any level. There is local co-operative multiplayer for 2 to 4 players, although every player participating has to remain fairly close to each other as every player is restricted to the confines of the screen instead of starting on the same screen and moving to a split-screen. The second player must share the same statistics rather than upgrading statistics independently. 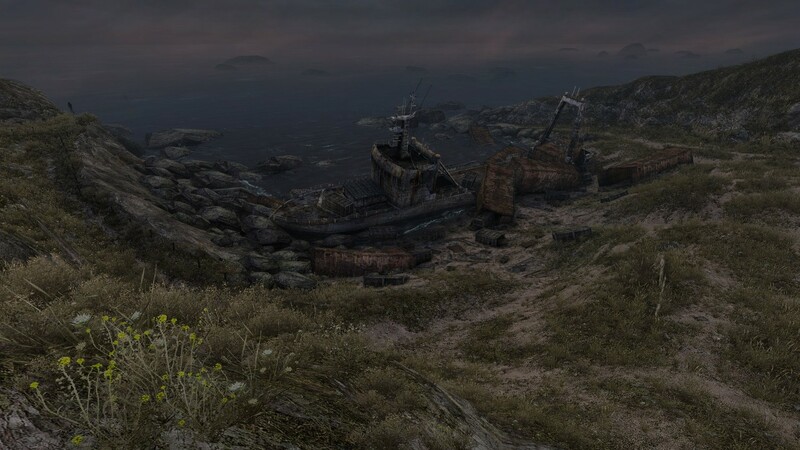 I would have liked to have seen some form of competitive multiplayer that would have included such game modes as deathmatch, team deathmatch, capture the flag and king of the hill, amongst other game modes, while set on the full-scale destructible environments found within each of the procedurally generated environments from the single player and co-op modes with the progressive upgrades system, customisable loadout and support for two to four players. I would also have liked to see the local co-operative multiplayer be available in the form of online co-operative multiplayer; just to provide that customary freedom for players to be able to play the single player experience locally with up to three friends or online with up to three friends and perhaps even in single player with the option of the game being open for anyone from your friends’ list or globally to join in co-operatively to help each other past a difficult area of the game. There are no online leaderboards which is surprising as they could have included leaderboards for the amount of enemies killed and the accumulation of credits as well as the amount of levels completed in total and the highest amount of levels completed in a single run. The replayability stems from important areas of gameplay such as the procedurally generated destructible environments, an incredibly in-depth upgrades system as well as a plethora of weapons, abilities and enhancements that is pivotal to the balancing of gameplay in regards to your character or your surrounding enemies having the upper hand and local co-operative multiplayer for 2 to 4 players will collectively have players returning for quite some time. Overall, Neon Chrome possesses such a level of quality to every gameplay element that comparisons can unbelievably be drawn to an enhanced Alien Breed and Crusader: No Remorse, therefore Neon Chrome is highly recommended and is now without doubt 10Tons’ best game, especially to fans of top-down shooters and 10Tons’ previous best game Crimsonland.